Stairway employs a multi-faceted approach in the fight against child sexual abuse and exploitation. Essentially, we work on advocacy, capacity building and networking to increase awareness of the issues from ground level (children, families and communities) to government departments (Department of Social Welfare & Development, and the Department of Education), and with a strong focus on training and sensitizing the National Police, Social Workers, Teachers, along with multiple non-government organizations (NGOs). The Break the Silence Network counts more than 50 civil society organizations nationwide, and the model is being replicated in several other countries in the region. 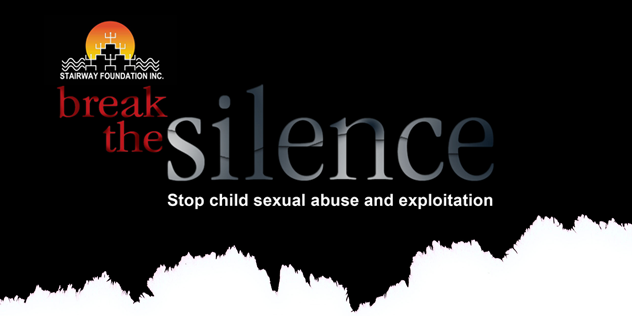 Stairway initiated the Break the Silence Network to reach a greater number of organizations and cover a wider geographical area in terms of Child Protection. Starting out training only 8 partners back in 2008, the BTS Network anno 2015 counts 53 partners spread over 9 regions nationwide. Through the Break the Silence campaign, Stairway has trained and is training thousands of teachers, social workers, street educators, church people and others in an attempt to motivate them to take part in a massive movement of information and education on the issue of child sexual abuse and exploitation. However, the ultimate beneficiaries of this program are the children. With the materials that we have produced and the networks we have established and trained, we reach and help protect children all over the Philippines and in several other South- and Southeast Asian countries. With our plans to develop an online training platform with advanced e-learning, we aim to reach even much farther into other parts of the world in the future.